The vast residential area to the east of Ipswich town centre grew steadily through the later years of the 19th century, terrace by terrace. Today, these are all still fine small houses, since this side of Ipswich suffered very little damage in the Second World War. Further out, they are larger, but here in the Spring Road area they tend to be two-up, two-down terraced houses. 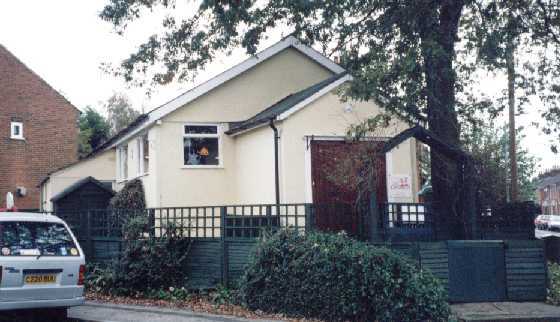 A large church of St John the Baptist was established on Cauldwell Hall Road in the 1890s, and an Anglo-Catholic shrine at St Bartholomew on Rose Hill a few years later; but the ancient town church of St Helen, in whose parish this area is, saw a pressing need for a presence among the new houses, and established this mission church in 1919. The former St James sits politely among the terraces. It is a simple, wooden building on the corner of Woodville Road and Melville Road, with large windows (I think these may not be original), a transept-like vestry and a porch facing out onto the junction. 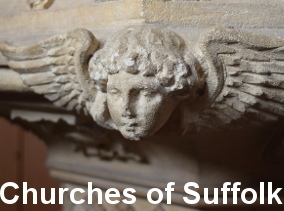 Writing about the churches of Ipswich in the early 1980s, Roy Tricker found the mission church of St James still in use; but when I lived around the corner in 1986, it had already closed. Today, it serves a useful purpose as a kindergarten for local children. It is not to be confused with the nearby Catholic church of St James. The former CofE church of St James is located to the east of Ipswich town centre. It is not open to the public.